Although it recently sold most of its controversial Israeli business, G4S works with Afghan warlords and in regimes like Syria or Sudan. It has a long record of scandals, failures and controversies – but keeps on winning new contracts. Do you have any information you’d like to share about G4S? Contact us securely through our contact page. “Secure Solutions”: human security guards, security technology, warzone mercenaries, and “facilities management” which integrates security with other management and maintenance contracting. It is active in 82 countries, and works with a range of corporate, public sector, and private clients. “Cash Solutions”: cash transport vans and related technology. It is active in 42 countries and makes up 14% of the company’s core revenue. “Care and Justice”: a sub-division of Secure Solutions operating in the UK, Australia, New Zealand and South Africa. It runs prisons, immigration detention centres, police stations, and some other government services such as asylum housing. It only makes up 7% of G4S’ total business. But profit rates are typically much higher than for “mundane guarding” work. G4S operates through around 600 local subsidiaries. 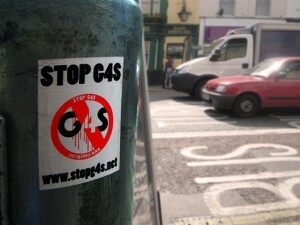 They typically – though not always – use the G4S branding. Its head office is in Crawley, not far from Gatwick Airport. Total revenue in 2017 was £7.4 billion. Profit after tax was a reasonable £236 million. G4S paid out £290m to its shareholders in dividends in the last two years. The bulk – 80% – of G4S’ contracts are with the private sector. Globally, the company has 150,000 customers and 55,000 suppliers. 34% of Secure Solutions business comes from major corporations and industrials; 18% financial institutions; 10% from the retail sector; with other business in energy, transport, and leisure sectors. The largest individual customer is Bank of America. Most of its revenue (£4.61 billion) came from the “developed markets” of the US and Europe. “Emerging markets” revenues were £2.8 billion, with the main regions in order of size being: Middle East and India (£845m), Asia Pacific (£736m), Latin America (£700m) and Africa (£457m). However, the “emerging markets” employ the majority of G4S’ staff. 31% of workers are in the Middle East and India alone. Here, and in Africa, security for energy, mining, and oil and gas extraction industries are key businesses alongside general corporate and government contracting. G4S has approximately 570,000 employees spread worldwide. Staff turnover is high, over 25% a year, and the company recruits around 150,000 new workers each year. G4S identifies one of its “key risks” as poaching of skilled staff by competitors. Wages are the bulk of the company’s costs – staff costs were £5.43 billion in 2017. But workers are not well paid: the average annual pay was just £9,534. In the UK, G4S recognises the GMB union; it also has a European Works Council. Another risk involves “negative impacts” on “employees’ health and safety” – including security staff being killed or attacked. In 2017, 25 workers died on the job last year (down from 47 in 2016): 11 of these in road accidents, as opposed to eight in armed attacks. G4S acknowledges three “non-accidental deaths” of prisoners in its custody in 2017, down from nine in 2016. In 2017 G4S exited from some unprofitable and controversial business lines, including its main Israeli operations – as well as UK children’s homes and youth detention. Global security is a boom industry. As the world becomes a more hostile and dangerous place, and with growing inequality and ecological collapse, corporations, states, and the rich have a growing demand for security guards. G4S sees growth everywhere, but notes Asia-Pacific as a particular growth region. In particular, G4S sees the best prospects in “sophisticated security technology”, and “integrated products”, which combine tech with “manned security”. On the one hand, there is rapid development of new weapons and technologies. On the other, “barriers to entry” are low in “manned security”, so there is less competition at the high-tech end of the market. And as the majority of G4S’ costs go on labour, automation can be a key way to increase margins. In 2017 tech security brought in £2.45 billion revenue, about a third of the total, and the company wants to grow this area further. This is the division which runs prisons and immigration detention. It is currently active in the UK, Australia, New Zealand and South Africa. Care and Justice makes up 7% of G4S’ total revenues. As well as locking people up, Care and Justice also takes other government contracts related to managing imprisoned and vulnerable people, e.g., asylum housing and electronic tagging. and a new (2017) electronic tagging contract – despite the 2013 scandal where it lost an earlier tagging contract, was investigated for fraud, and was temporarily banned from bidding for new government contracts. G4S Care and Justice (Australia and New Zealand) runs three Australian prisons, and tagging and police support services in the two countries. It previously ran Australia’s notorious Manus Island offshore immigration detention centre – but exited this contract swiftly in 2014 after horrific mistreatment was exposed, including one guard being convicted of murder. The detention and prisons part of the business is extremely profitable. Internal G4S documents, reported on last September by the BBC and the Guardian, showed the company making profit rates over 20% for Brook House, and even over 40% for Tinsley House in 2016. This is despite the fact that the profit margins officially agreed in their contracts are far lower: 6.8% in the case of Brook House. G4S is supposed to pass cost savings onto the Home Office; whether or how this happens in practice is unknown. It is also despite G4S paying a record £2.88 million in penalties for breaches in its Ministry of Justice prison contracts in 2016/17 – it has paid over £7 million altogether since 2010. Prisons and detention centres are perhaps the most profitable of all G4S business. But this line of work also carries higher risks: both in terms of frequent scandals, and when the company tries to expand into less well-known areas of government work such as loss-making housing contracts. That said, recent detention scandals have showed no signs of affecting profits or share prices (although the fortunes of outsourcers generally has, see below). G4S is not currently flagging up prisons as a growth area for the company – but there is little doubt it will bid for new opportunities when they arise. However, one “Care and Justice” deal has not performed so well: the COMPASS asylum housing contracts. G4S has been losing substantial sums on these deals – though it still appears to be bidding for the new round of asylum housing tenders currently underway. In 2012, the Home Office reorganised its system of housing asylum seekers (outside detention). Previously, there was a mixture of housing arrangements run by local authorities as well as private companies. Now all housing is provided by large private companies under regional contracts called “COMPASS” – “Commercial and Operational Managers Procuring Asylum Support Services”. 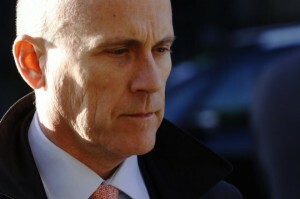 The Home Office said it hoped to save £150 million over seven years through this arrangement. The six contracts were awarded to just three companies: G4S, Serco and Clearsprings Group. G4S won the contracts for “North East England, Yorkshire and the Humber” and “Midlands and East of England”. But, as the Home Affairs Committee points out: “although the system of three Providers looks straightforward on the surface, below it lies a complex network of contractors, sub-contractors and hundreds of private landlords.” G4S’ sub-contractors include: Live Management Group Ltd, Target Housing Association, UHS Ltd, Mantel Estates Ld, Jomast, Cascade. The Compass contracts are due to end in August 2019. They were initially scheduled for five years, plus an optional two year extension, which the Home Office took. Although full details are not clear, the new arrangement looks set to be very similar, based on seven large regional contracts. They are due to be awarded in Autumn 2018. The corporations complain that they have made heavy losses on the COMPASS contracts. G4S and Serco, in particular, seemed to have seriously messed up preparing for the deal. Both had problems early on with sub-contractors and failed to source all the properties they had expected; both complained they hadn’t anticipated the problems of negotiating with councils over properties; G4S took on properties without inspecting them. Then the mess got deeper as the “refugee crisis” arrived and the Home Office got even further behind in processing claims, meaning the numbers of people to be housed swelled. Conditions in asylum housing are notorious. 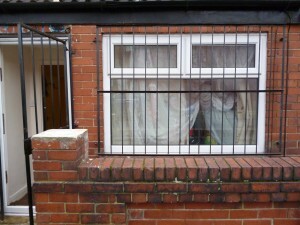 South Yorkshire Migration and Asylum Action Group (SYMAAG) have collected numerous horror stories from people housed in Yorkshire and other areas. In Sheffield, a toddler with cancer is dumped by G4S in rat-infested accommodation. In Manchester, Serco don’t treat bedbug outbreaks but simply wrap infested mattresses in plastic covers. These are not exceptional cases: water leakage, fire hazards, mould, rats, cockroaches and bedbugs appear standard. In Birmingham, Migrant Voice published a survey of G4S-run housing in January 2017 noting filthy accommodation, broken windows and furniture, vermin infestations, and more issues were commonplace. G4S sees technology, including automation, as key to its future development. For several years it has been developing technologies including artificial intelligence monitoring of CCTV systems and access control, and of course robot guards. This area is led by a subsidiary called G4S Technology Ltd based in Tewkesbury, Gloucestershire. G4S has been an active partner of state-sponsored security tech schemes: e.g., the EU STRANDS robot project involving a number of universities (Birmingham, Lincoln, Leeds, Aaachen, Vienna, and the Royal Institute of Technology in Stockholm). In 2017, G4S sold its main Israeli business, which had been heavily involved in prisons and the occupied territories, for £88 million. However it still retains a 25% stake in the central Israel police training facility, called Policity. In fact its most recent Annual Report stills list three Israel subsidiaries: G4S Israel PPP Ltd; G4S international Logistics (Israel); and Policity Ltd (25%). G4S bought the Armorgroup mercenary company in 2008, which was a major private military contractor in Iraq and Afghanistan and involved in numerous scandals. G4S continues to win major security contracts in both countries. G4S has subsidiaries in tyrannical regimes including Sudan (Armorgroup Sudanese Co Ltd) and Syria (Group 4 Syria). Its Sudanese business has included working closely with the Sudan People’s Liberation Army – now the army of South Sudan, accused by the UN of war crimes involving “appalling instances of cruelty”. G4S’ roots are in Scandinavia. Two Danes, Philip Sørensen and Marius Hogrefe, founded the guarding company København Fredriksberg Nattevagt in 1901 – it would later become Securicor. Soon after, in 1906, Sophus Falck established a fire and rescue company called Redningskorpet – which would later become Falck. These companies expanded and bought up other security firms through Scandinavia and beyond, including Securicor’s UK subsidiary which later became independent under the name Group 4. 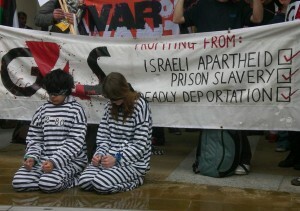 G4S, under its various guises, has been at the forefront of the private prison and detention industry in the UK. Back in 1970, Securicor was given the very first contract to run a purpose-built immigration detention centre, Harmondsworth. In 1991, Group 4 won the management of the UK’s first privatised prison, the Wolds in Hampshire. In 1997, Securicor took on the first prison PFI contract. In 2008, G4S absorbed GLS, another company heavily involved in running UK detention centres. In 2011, G4S won the contract to run Birmingham Prison, the first time a public-sector prison has been transferred into private management. Securicor and Falck merged in 2000, and the two re-merged with Group 4 in 2004. The company listed on the London Stock Exchange, and the combined group was rebranded as G4S in 2006. Then CEO Nick Buckles led the firm on a rapid expansion, buying up numerous global subsidiaries in the 2000s. One notable acquisition was Wackenhut, the second largest US security firm, in 2002. (The prison part of Wackenhut’s business was sold on and became GEO – see profile below.) Another was the mercenary firm Armorgroup in 2008, which has been active in warzones such as Iraq, Afghanistan and Sudan. But Buckles’ vision crashed in 2011. The planned £5 billion acquisition of Danish facilities management giant ISS, which would have moved G4S out of security and into general outsourcing on a big scale, was over-ambitious. This costly deal was cancelled after a shareholder rebellion. Soon after, G4S was hit with its two biggest scandals yet: the 2012 Olympics fiasco, and the 2013 electronic tagging scandal which led to it being banned from bidding for new UK government contracts for six months. Buckles stepped down in May 2013, and new boss Ashley Almanza embarked on a restructuring programme. The expansion drive ended, with the company offloading troublesome subsidiaries. It claims now to be focusing back on the “core” business, with less high-risk deals. This approach seems to be working, with a slow but steady growth rate over the last four years. Read more background in our extended “G4S: A Company Profile” from 2012. G4S’ current directors are a grey bunch. There are no ex-politicians on the board, and members are mainly from the world of European corporates and finance. Chief Executive Ashley Almanza (appointed 2013) is a South African accountant connected to the oil and gas industry. He worked for many years as a finance officer for British Gas, and is a director of offshorer drilling contractor Noble Corporation. The non-executive chairman, John Connolly, is an accountant who worked all of his career at Deloitte. He is also chair of Great Ormond Street Hospital Charity. One non-exec director, John Mogford, is CEO of water company United Utilties. Others have links to companies like Syngenta, Cap Gemini, Volvo, BAE Systems, as well as investment trusts and private equity. Almanza was paid £3.85 million in 2017, down on his £4.79 million the year before. This is 403 times the average G4S pay. It includes a basic salary of £939,755, an annual bonus of £1.12 million and a “long term incentive plan” (LTIP) of an extra £1.44 million. All of the “LTIP”, and 85% of the annual bonus, is awarded depending on meeting financial targets. There is no assessment relating to “ethics” or “Corporate Social Responsibility”, although the other 15% of LTIP includes an assessment for “health and safety”. In the year of the Brook House scandal, Almanza was scored 11 out of 15 on this part of his bonus. G4S is profitable and growing: after a few tricky years that saw a series of lower-than-expected profits, G4S is bouncing back. Revenues reached £7.4 billion last year; overall growth was 17% over four years from 2013 to 2017. Overall profit in 2017 was £236 million, also up 17% on 2013. (“Operating profit” was £502 million). The majority of net profit is paid out to shareholders in dividends: £145m in both of the last two years. Revenue growth often depends on winning large contracts, and this can mean it has ups and downs depending on specific big customers. But it is in nothing like the trouble of other outsourcers like Mitie or Capita. Security is generally more profitable than other outsourcing sectors; and G4S has a diverse worldwide client base, rather than depending on a few big government deals for work. Profits by region broadly reflect the size of those markets. G4S made £345 million before tax and interest in the “developed world”, £198 million from “emerging markets”. Business is particularly profitable in the UK and Ireland: £118 million, almost as high as £123 million from North America and higher than £104 million from Europe, even though it brings in less revenue than either. Share price: G4S’ share price has been hit in the wake of Carillion’s collapse, which has made investors nervous about outsourcing companies in general. But the markets didn’t seem bothered at all about the Brook House abuse scandal – in fact G4S shares rose in the weeks after that broke. Taxation: overall, G4S has an effective tax rate of 33% in 2017 (26% in 2016). Cashflow and debt: G4S has enough cash to pay its bills and has cut down its debt levels over the last few years. As of the end of 2017 it had almost £600m in cash plus an extra £1bn of overdraft facilities with banks that it can access. It has overall debts of just under £1.5 billion but its accounts suggest these should not cause significant problems. Again, the company has reduced its debt levels significantly over recent years. It has a less than impressive BBB- credit rating from Standard & Poor’s rating agency – that’s the bottom of the so-called ‘investment grade’ level which allows major pension funds to buy its shares. G4S regularly issues bonds in Sterling, Euros and Dollar markets. G4S is a public limited company, listed on the London Stock Exchange (LSE), and also on the NASDAQ OMX exchange in Copenhagen. In recent years it has been popping in and out of the FSE100 index, which lists the 100 biggest LSE traded companies. Like many big PLCs, most of its shares are owned by major global fund managers. At the end of 2017 its biggest shareholders were: Invesco (13.05%), BlackRock (6.02%), Harris Associates (5.11%), and Mondrian Investment Partners (5.07%). There have been high profile cases of investors selling G4S shares after public campaigning around Israel – notably the Bill and Melinda Gates foundation which withdrew a $170m stake in 2014. The “Boycott, Divestment and Sanctions” (BDS) campaign may well have prompted the 2017 sale of G4S Israel. Still, it is hard to say what substantial impact if any there has been on G4S’ overall finances: there are plenty more ready to invest so long as the profits are coming in. Just a few highlights. See also: G4SFacts website; Stop G4S facebook group with regular updates; detailed 2016 dossier on UK incidents by Liberty. (2018) Birmingham prison deaths: in March and April 2018, five inmates died within seven weeks in G4S’ notorious prison. (2017) Brook House: undercover filming exposed guard brutality inside the Gatwick Detention centre, leading to several sackings and an ongoing “independent” inquiry. Yet G4S has still had its contract to run the two Gatwick detention centres extended for a further two years. (2017) DAPL pipleline: G4S provided security for the controversial Dakota Access Pipeline in the US, which has been resisted by indigenous communities. (2016) Birmingham Prison Riots: some of the heaviest recent riots in UK prisons took place in the G4S-run prison, before being quelled by 10 Tornado teams of (public sector) anti-riot officers. (2016) Exit from Palestine: G4S has now exited most of its Israeli businesses – although some subsidiaries remain listed in its latest Annual Report. G4S was a major collaborator with the occupation in Palestine, working with prisons, checkpoints, settlement businesses, and Israeli police, including in the occupied West Bank. Our 2015 report on the Israeli prison industry, and this 2011 report by WhoProfits, document these activities in detail. (2016) Orlando gunman: the killer of five people was a long term G4S employee. (2016) Quits youth detention business: after BBC Panorama exposed horrific scenes of brutality inside its youth prisons. (2016) Bogus 999 calls: five G4S police station staff were suspended in Lincolnshire after claims they had logged fake emergency calls to help meet targets. (2014) Manus Island: killing of Reza Barati. G4S guards in the Australian migrant detention camp in Papua New Guinea were accused of beating detainees with hoses and iron bars. After one Iranian man was killed, two men including a G4S guard who threw a rock onto his head, were convicted of his murder. G4S ended its Manus contract the month after. (2013) South African prison torture: reports of horrific torture and abuse by G4S guards at Mangaung Prison, dubbed “a private hell”. (2013) Tagging scandal: a Serious Fraud Office investigation opened after reports of massive over-billing by G4S and Serco in their electronic tagging contracts. The two companies were temporarily banned from UK government contracts. But this was lifted in 2014 after G4S agreed to pay back £109 million. Despite all this, G4S won a new Ministry of Justice tagging contract in 2017. (2012) London Olympics fiasco: G4S took a $355 million contract to provide security at the 2012 Olympics, then failed to recruit enough guards, leading the Army to step in and take over security. 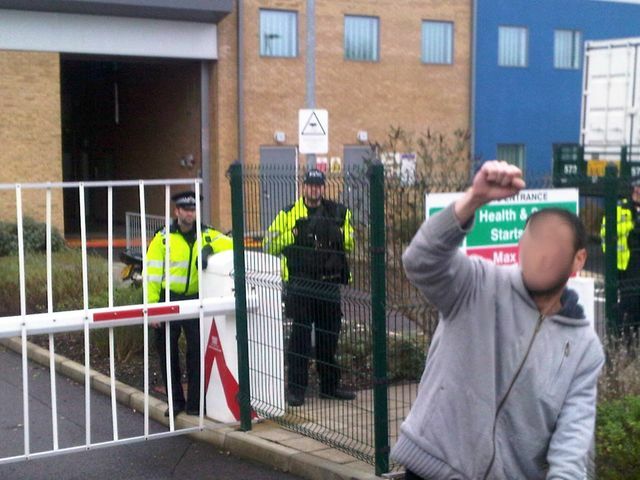 (2012-ongoing) G4S and Serco each won two of the UK government’s COMPASS asylum housing contracts in 2012. Appalling slum conditions in their accommodation has been well documented. Despite losing money on the existing contracts, both companies appear to be bidding for renewals. (2011) The false leg tag: in one oft-cited anecdote, G4S were caught tagging a man’s prosthetic leg. (2010) Killing of Jimmy Mubenga. Three G4S “escorts” held down and killed 46 year old Jimmy Mubenga as he was being deported to Angola. Although the inquest jury found he had been “unlawfully killed”, the guards were acquitted of manslaughter in 2014. The judge ruled that evidence of “endemic racism” in the G4S workforce could not be used in evidence. (2010) US Senate Inquiry finds G4S’ ArmorGroup subsidiary in Afghanistan “relied on local warlords … linked to murder, kidnappings, bribery” to supply its men and weapons. (2009) G4S Armorgroup Iraq killings: G4S mercenary Daniel Fitzsimons shot dead two colleagues in the Baghdad “green zone”, after the company had received repeated warnings about him. (2008) Death of Mr Ward: the aboriginal elder was “cooked to death” in a G4S van transporting him to court in Western Australia. NB: unless other sources are stated, information comes from the company’s annual reports and accounts. Latest information can be found here on its website.